If you like to have a look at all the improvisations, click on the blue label "improvisations" below! Happy Valentine's Day! I love the colors here. Is it boy in the picture? How beautiful, Pietro! Love the happy, spring colors. A very Happy Valentine's Day to you! Enjoy! Grazie Pietro per averci donato questi colori che evocano molto la privamera per San Valentino. Oh how pretty and happy! Ciao Pietro è bellissimo questo tuo dipinto dedicato a San Valentino, colori che evocano speranza e cos'è l'incontro tra due anime se non la speranza? 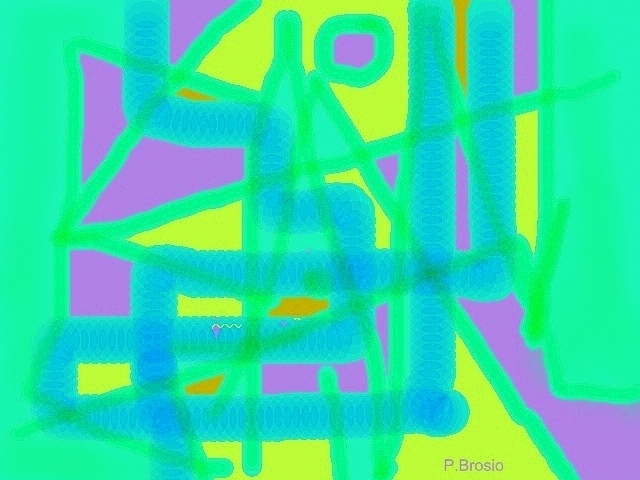 Pietro: Very interesting painting, it gives me the feeling of two paths connecting. Very beautiful painting, Pietro! Love the bright and vivid color. 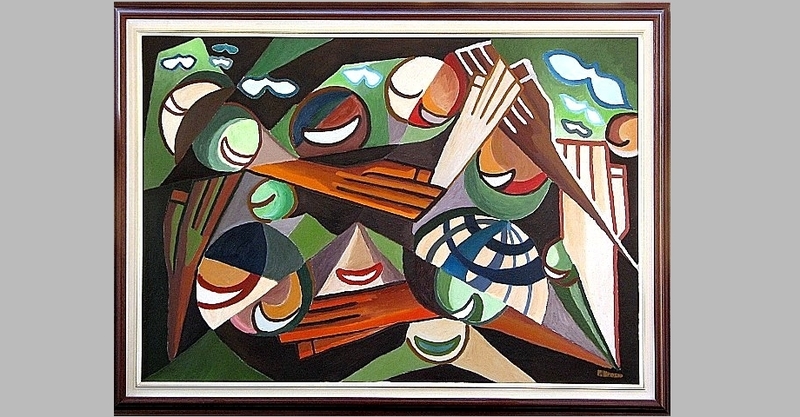 Enjoy also to see again your Improvisations paintings. How cool! I hope you had a good V-day! It's amazing Pietro. Once again you show us all your talent! Belated Happy Valentine's Day to you my friend! I like the cheerful colors of this painting. Beautiful work Pietro! accept my late greetings! happy hearts day! My belated greetings for heart's day. A little different for V-day, a post without the color red. Beautifully artistic! Love the use and choice of colors! «Louis» is enjoying your Improvisations series. It was nice to click on the link to review previous postings. Of course. It has not to be 'red' if we are talking about 'love':) Very cool and out-of-traditional improvisation, Pietro! I like it. In the meantime, here's my (a bit late) answer: to me it's (my smartcard bracelet) somehow the kind of prototype creation that I want to think up. I might develop it using the transfer technique on leather.. I'll see how my idea will bloom. All of my best, kindest. Beautiful composition & color Pietro.